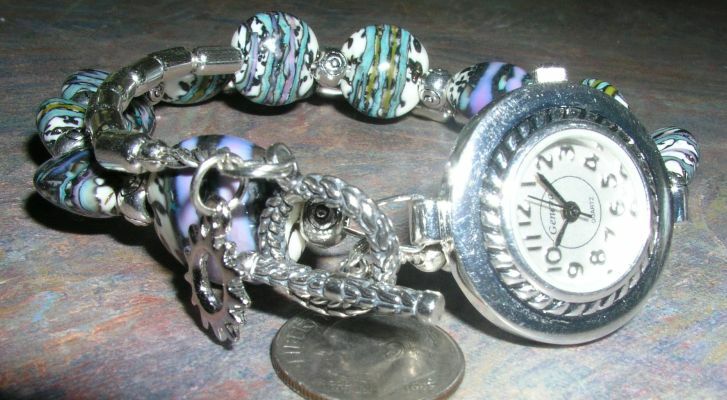 Length of watch band is approximately 15 - 16 inches long. The watch is silver plated. 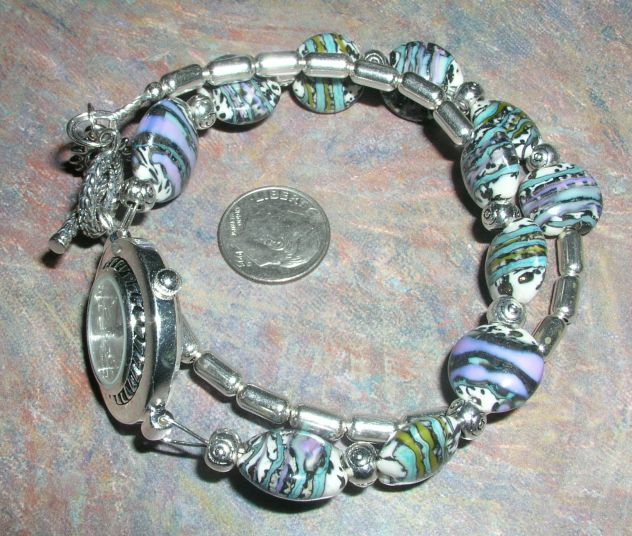 All other components and silver beads are sterling silver. Looking for a truly fun watch? Look no further!! 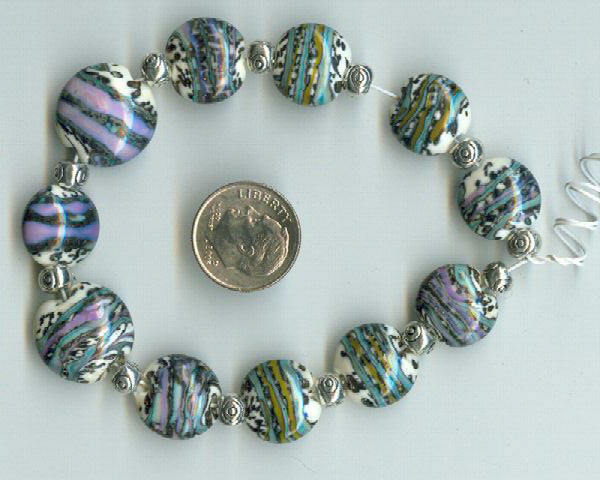 This one has a southwest look, but the colors are softer, more like the colors you see at sunset. Made to wrap around your wrist twice, the watch is comfortable and simply beautiful. 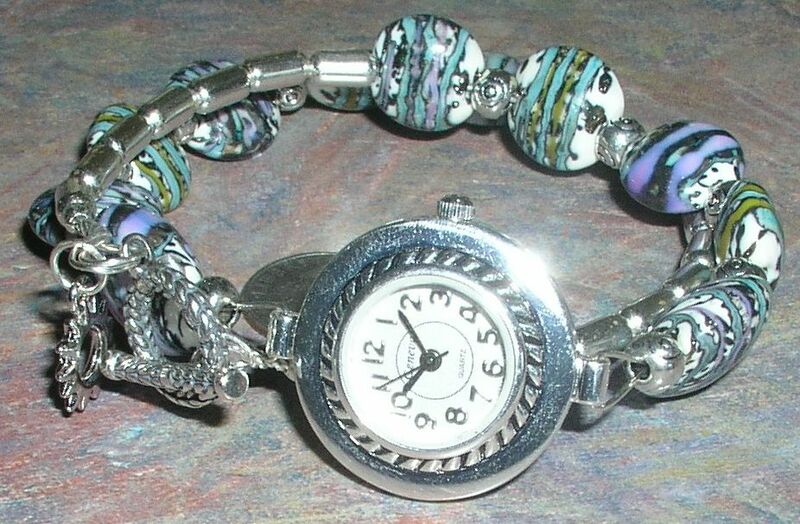 I'm still looking for a good source for sterling silver watches, but haven't found one yet. So the watch is silver plated, but is of good quality. All other silver is sterling. 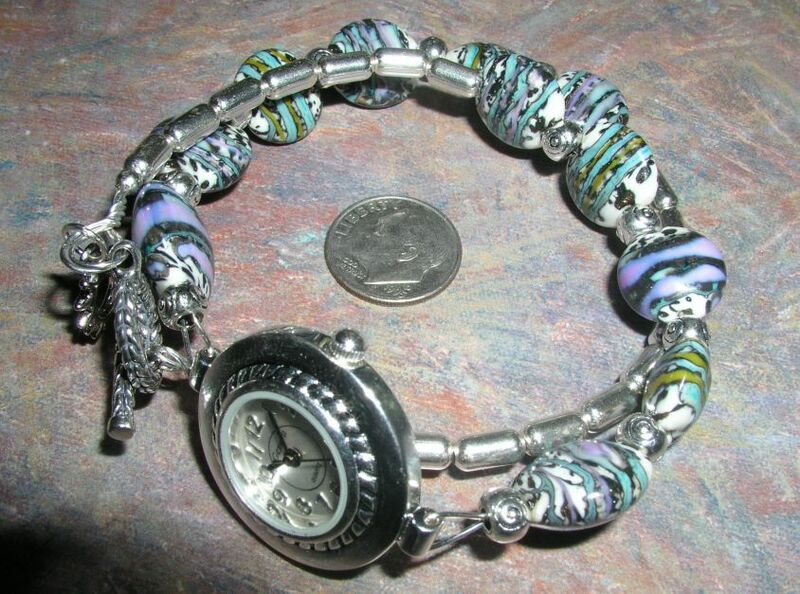 This is the glass artist's original picture of the beads used in this watch.